Jumpstart’s Read for the Record, now in its eighth year, is an annual reading celebration that highlights the need for high-quality early education in America by mobilizing adults and children to set a record for the largest shared reading experience. 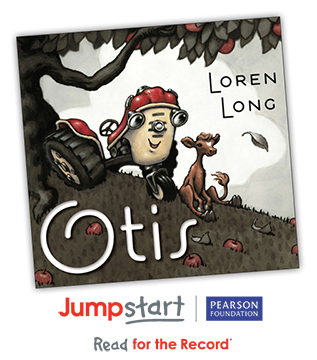 This year, children, teachers, parents and more will all read the book Otis by Loren Long – it’s a delightful story of a tractor who befriends a lost calf. Books will be distributed to all of our schools, and together we’ll continue to break the record! Raised more than $8 Million for early education programs. Provided more than 1.2 Million books for children in low-income neighborhoods. Even though our schools will be reading Otis in the classrooms, you can also read at home for free! Join us in breaking the record yet again by visiting We Give Books (www.wegivebooks.org), the free digital reading initiative created by Penguin and the Pearson Foundation. To learn more about supporting Jumpstart and participating in Jumpstart’s Read for the Record, visit http://www.jstart.org. Jumpstart is a national early education organization working toward the day every child in America enters kindergarten prepared to succeed. Jumpstart delivers a research-based and cost-effective program by training college students and community volunteers to serve preschool-age children in low-income neighborhoods. Through a proven curriculum, these children develop the language and literacy skills they need to be ready for school, setting them on a path for lifelong success. Jumpstart is a proud member of the AmeriCorps national service network. Learn more at www.jstart.org. The Pearson Foundation is an independent 501(c)(3) nonprofit organization that aims to make a difference by promoting literacy, learning and great teaching. The Pearson Foundation collaborates with leading businesses, nonprofits and education experts to share good practice; foster innovation; and find workable solutions to the educational disadvantages facing young people and adults across the globe. More information on the Pearson Foundation can be found at www.pearsonfoundation.org. 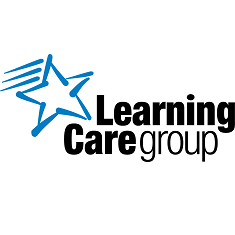 Penguin Young Readers Group is part of Penguin Group (USA), one of the leading U.S. adult and children’s trade book publishers, and a member of the internationally renowned Penguin Group.